Description: This Sparkling Moglinberry Juice cannon is a barrel of fun and shoots fireworks when click on! Happy New Year! 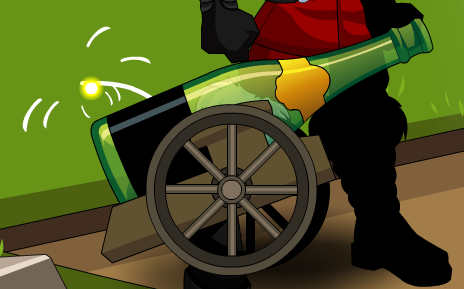 Note: Previously called "Bubbly Cannon". Thanks to Shal, Turningpoint and XxiBeefxX.